It’s simple to visit the 5 districts that make up the downtown experience. Just hop the trolley at any stop to shop, dine or travel to work. Soon it will be even easier to learn when it will arrive via the WAVE transit app. 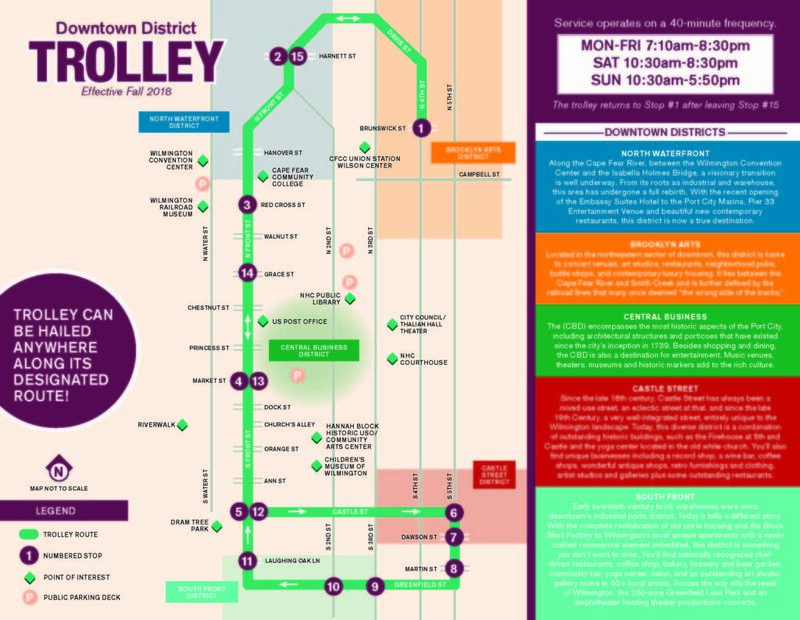 In the meantime, download the DBA trolley map Trolley brochure combined. TO SUPPORT AND STRENGTHEN THE DOWNTOWN COMMUNITY BY PROVIDING VALUE THROUGH ADVOCACY, PROGRAMS, EDUCATION AND EVENTS ALLOWING ALL BUSINESSES THE OPPORTUNITY TO GROW AND THRIVE.